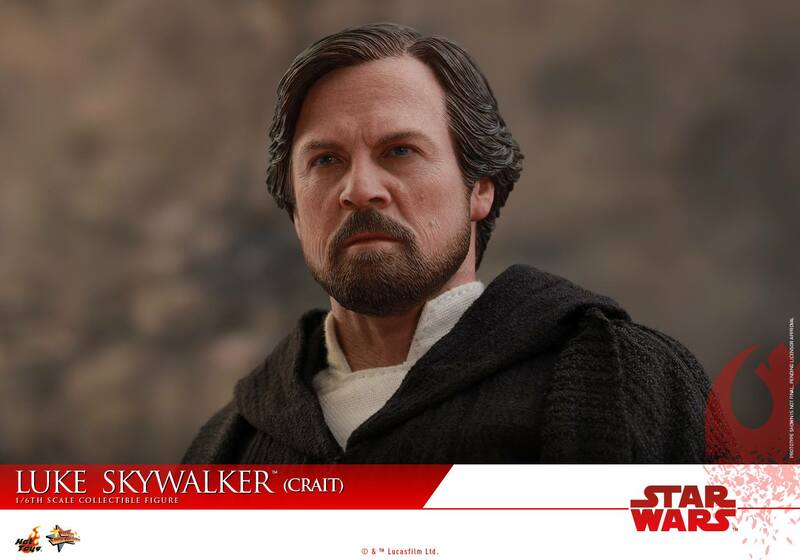 Crait Luke Makes His Debut in the Hot Toys Star Wars Line! 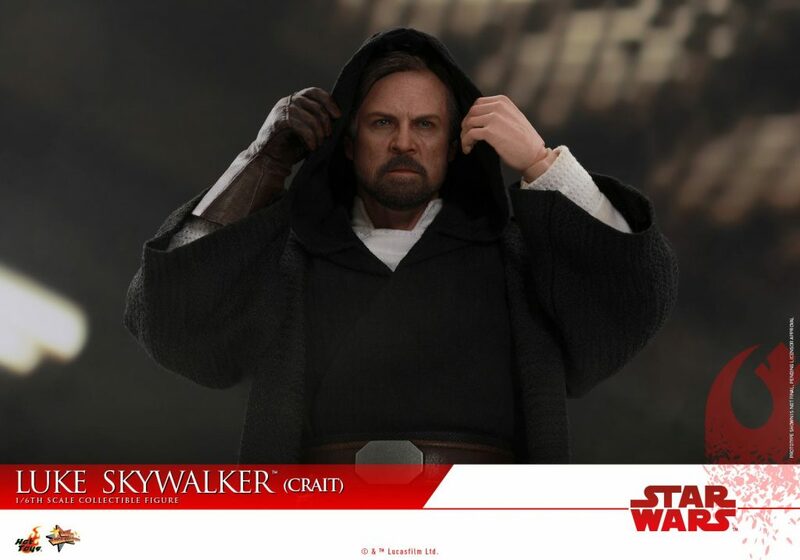 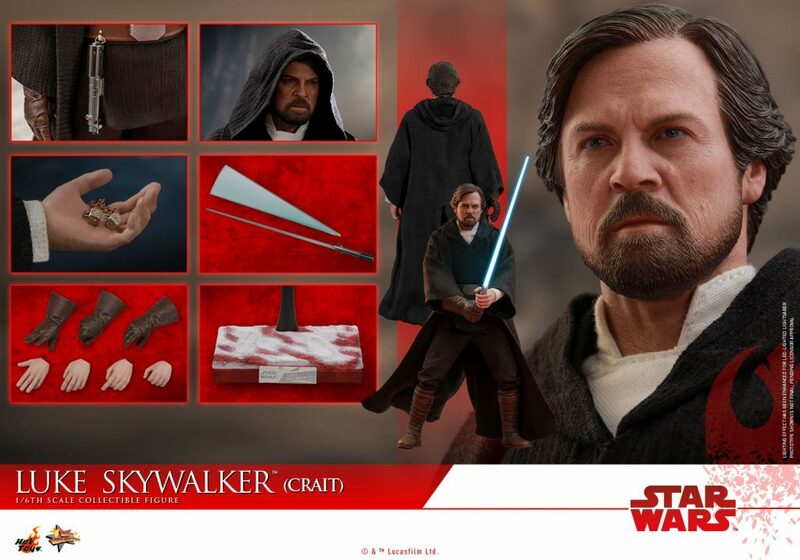 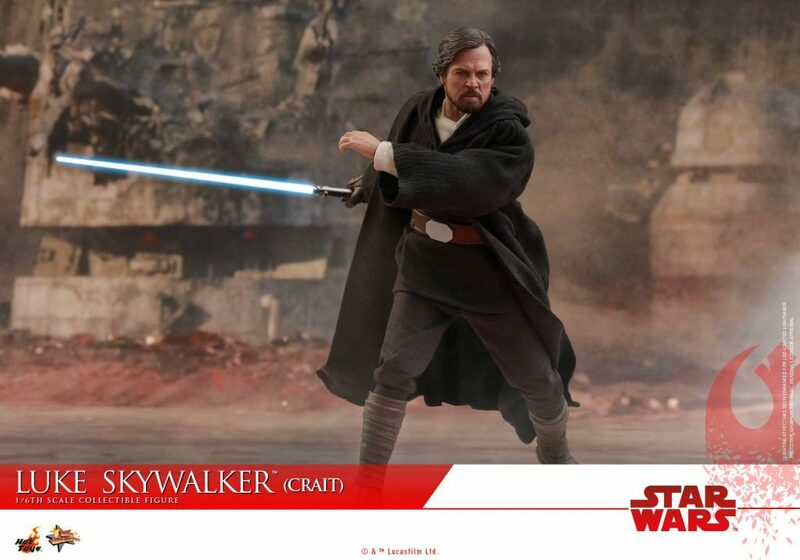 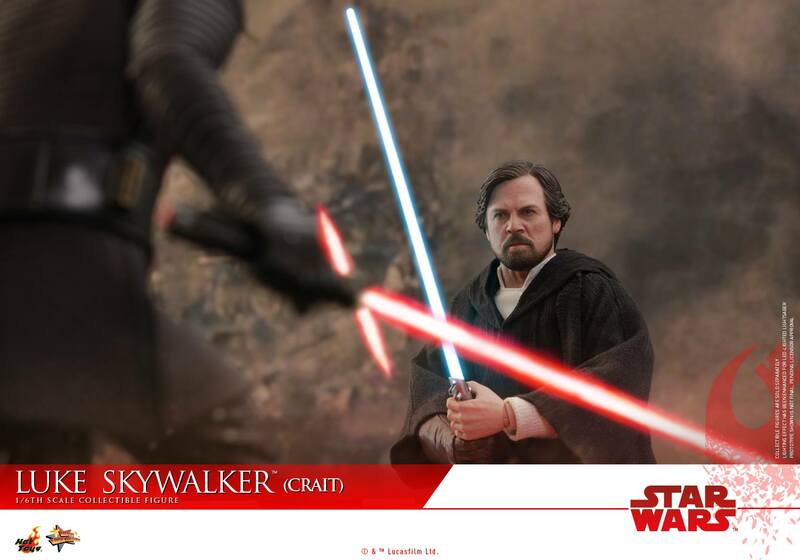 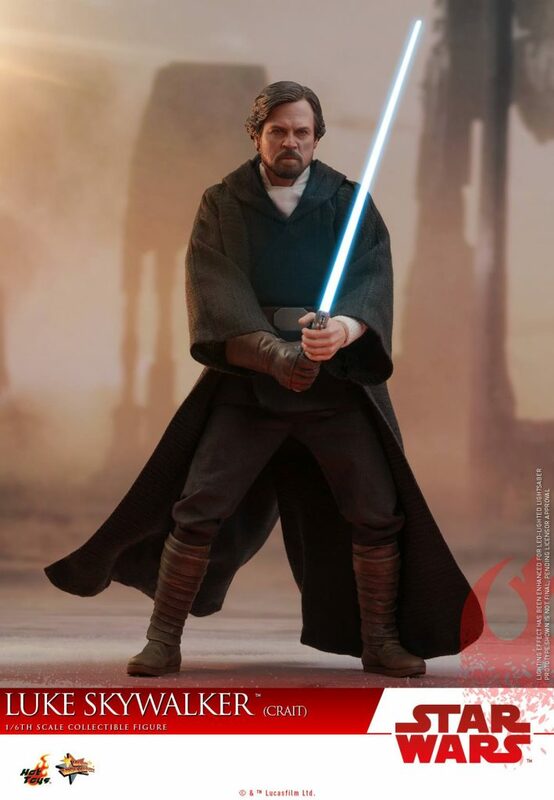 Earlier today Hot Toys has released official information and images of their upcoming Star Wars The Last Jedi Crait Luke Skywalker. 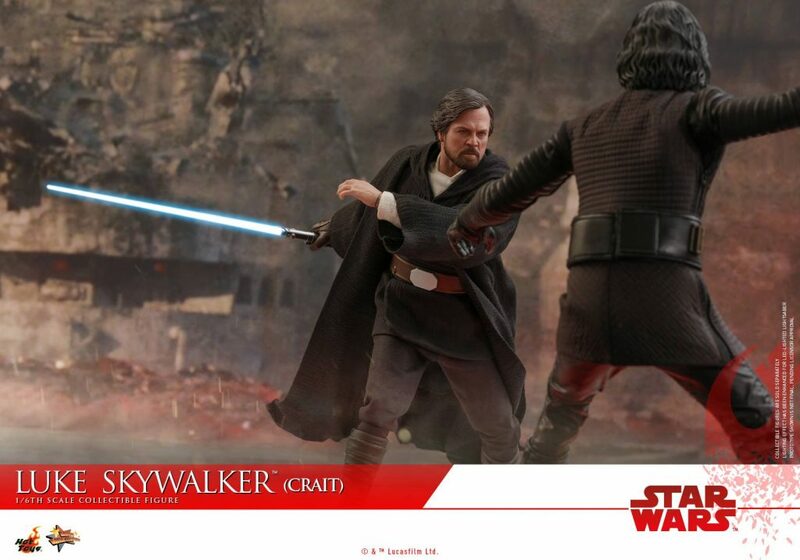 So far no other manufacturers have made a figure of Luke from this scene yet. 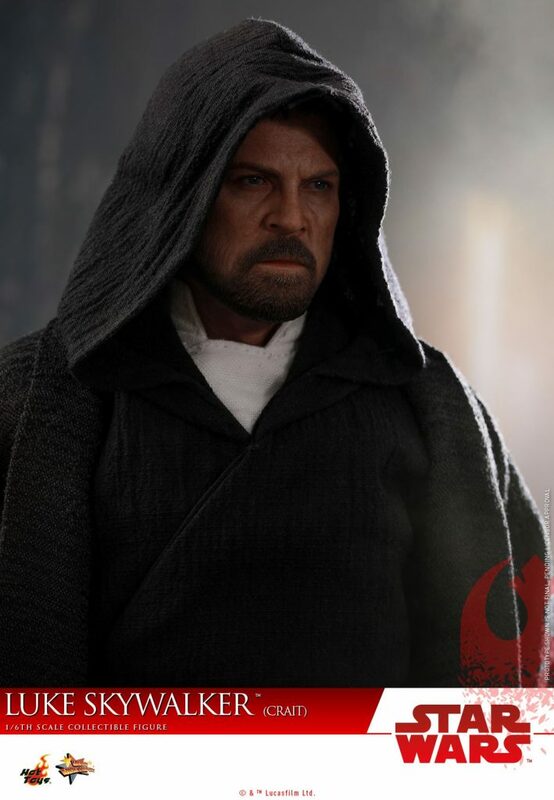 I’ve always been impressed with Hot Toys releases and this Luke is no exception. 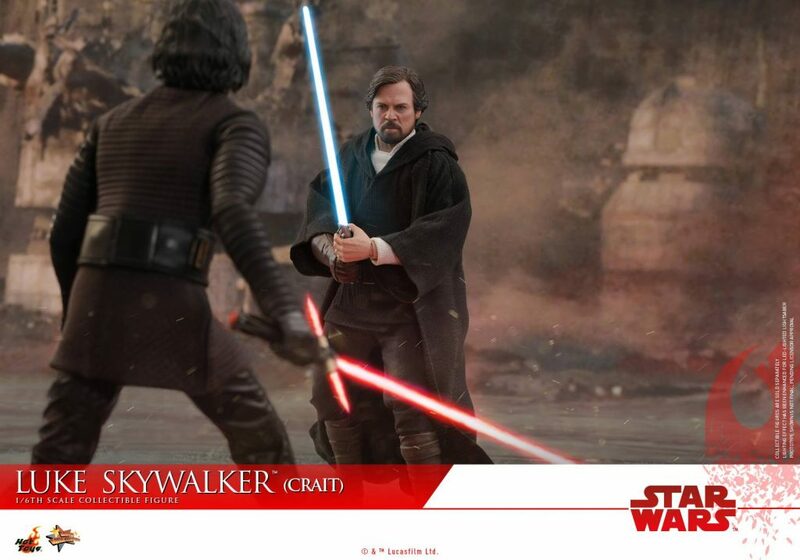 I really did like Luke’s look in this scene and Hot Toys have done an amazing job replicating it. 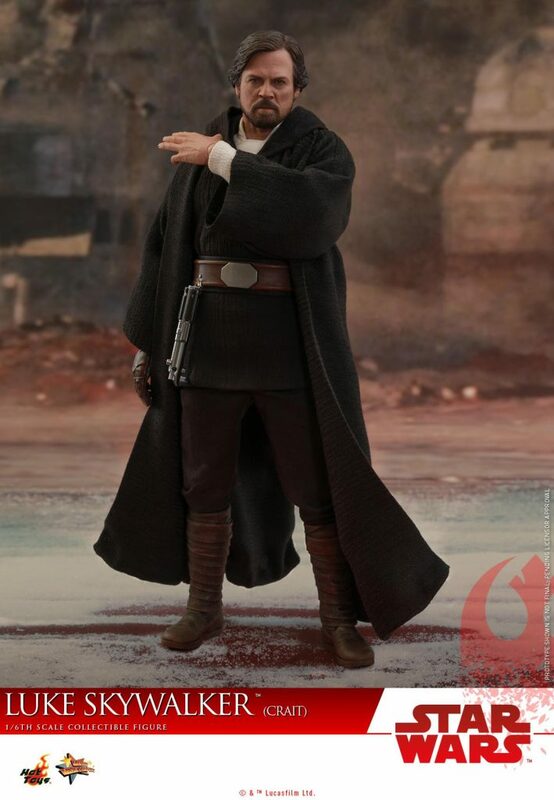 For those of you who don’t know this figure is from the iconic scene on Crait where Luke has created a force projection of himself to give the resistance time to flee, whilst living up to the legend that the Resistance believe him to be. 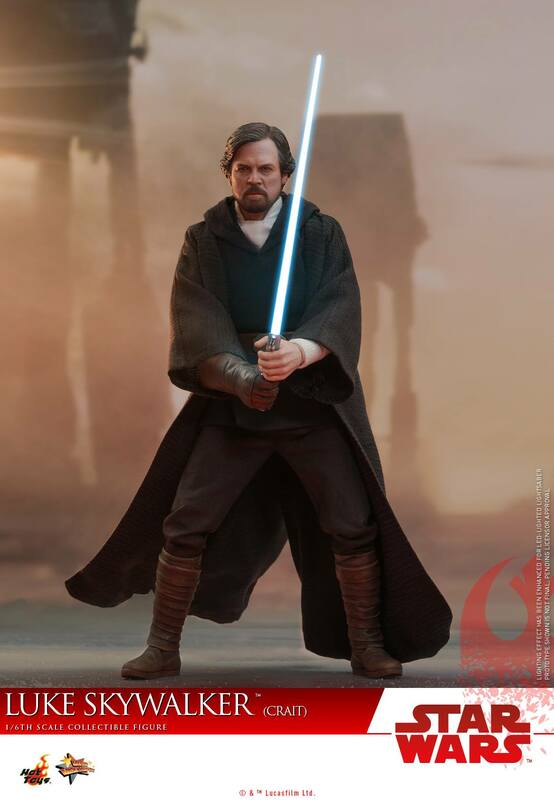 His outfit is very reminiscent of the Jedi outfit he wore during Return of The Jedi. 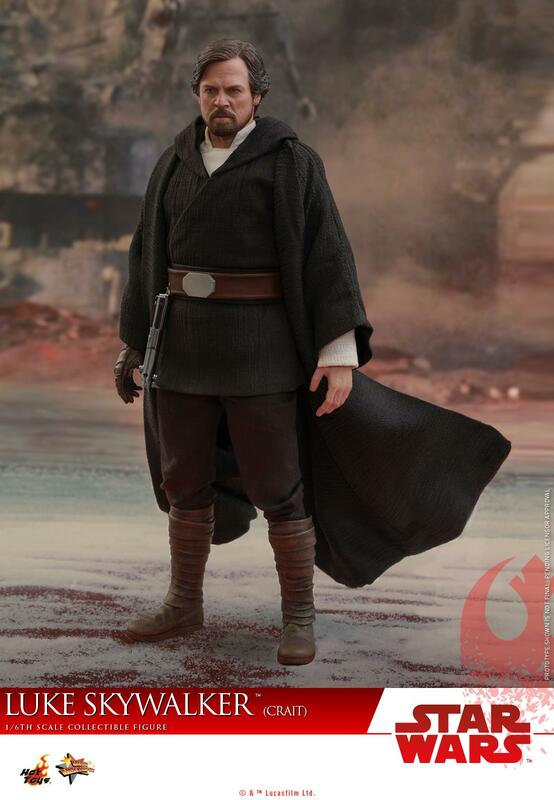 With the addition of a beige tunic beneath his long hooded black tunic. 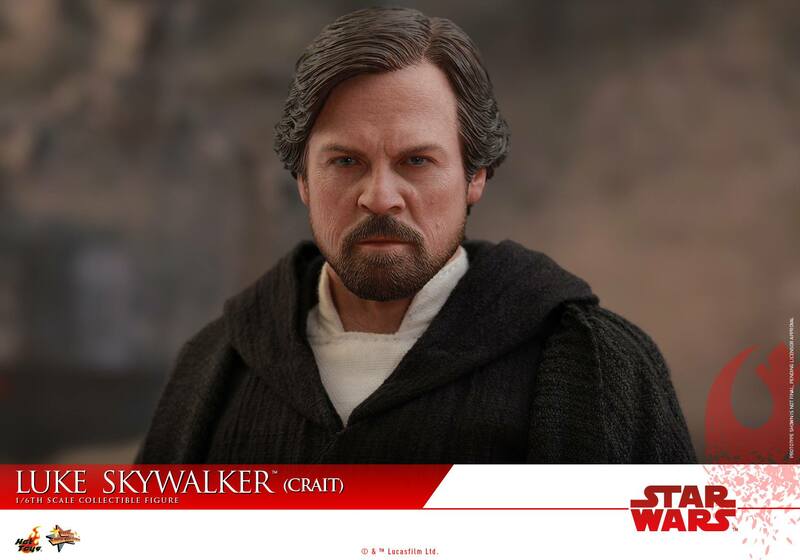 The likeness to the slightly younger Mark Hamill is fantastic, with his shorter and darker hair. 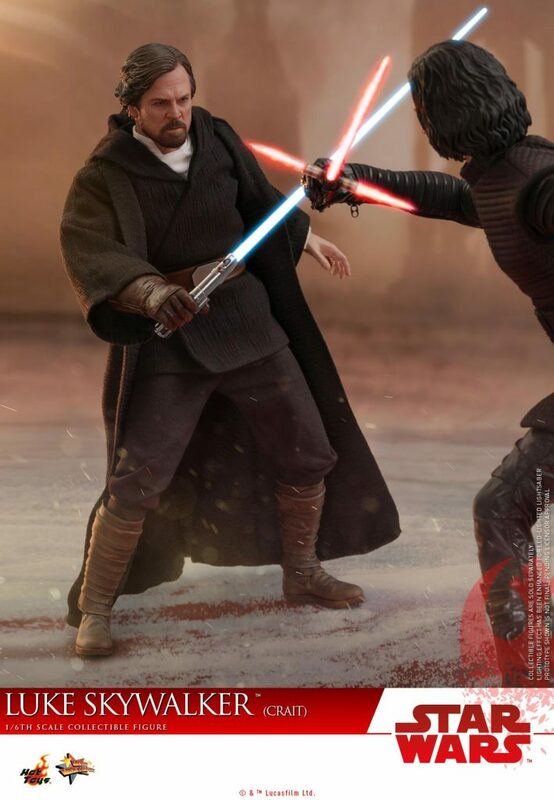 The costume itself looks fantastic and well tailored. 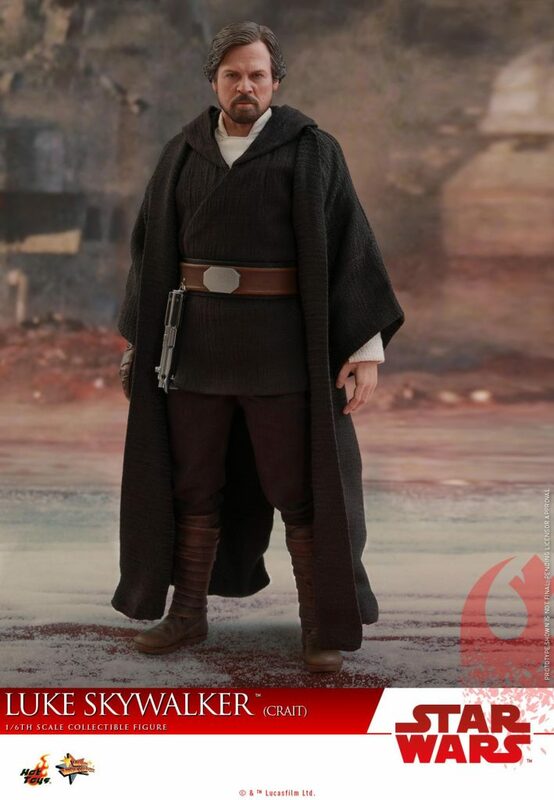 It’s not really intricate, but it’s still very iconic, much like Luke’s other costumes from the films. 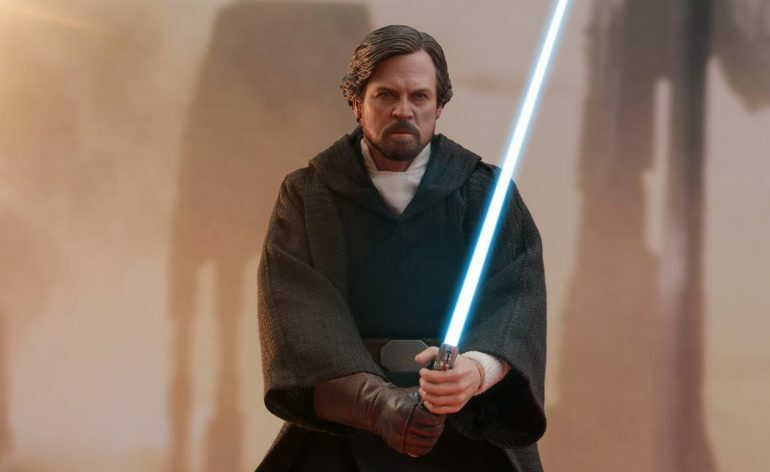 This figure comes with plenty of accessories including his father’s lightsaber which he used in this scene, and Han’s pair of dices from the Millenium Falcon. 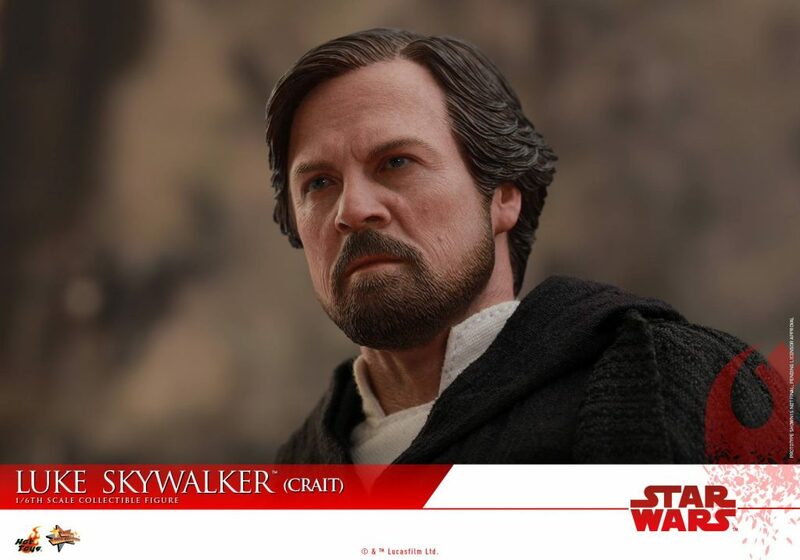 This is a must-have piece if you’re a fan of the character and the film. 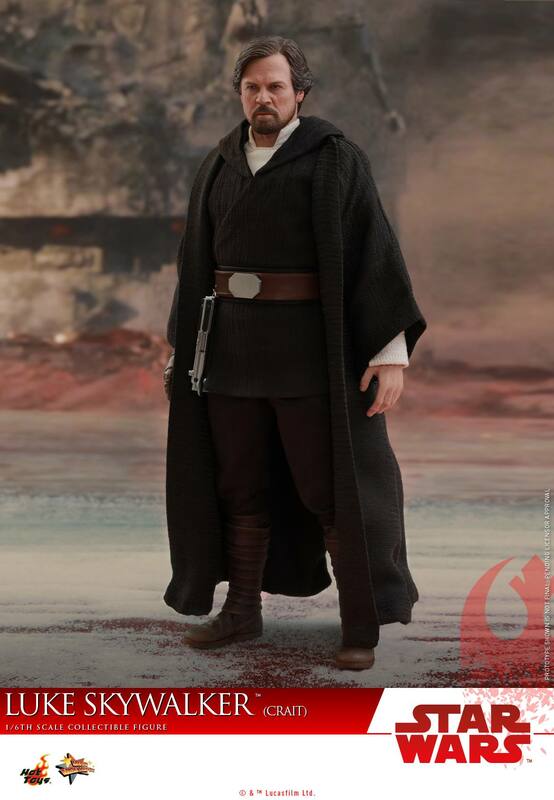 It’s simply an incredible looking figure. 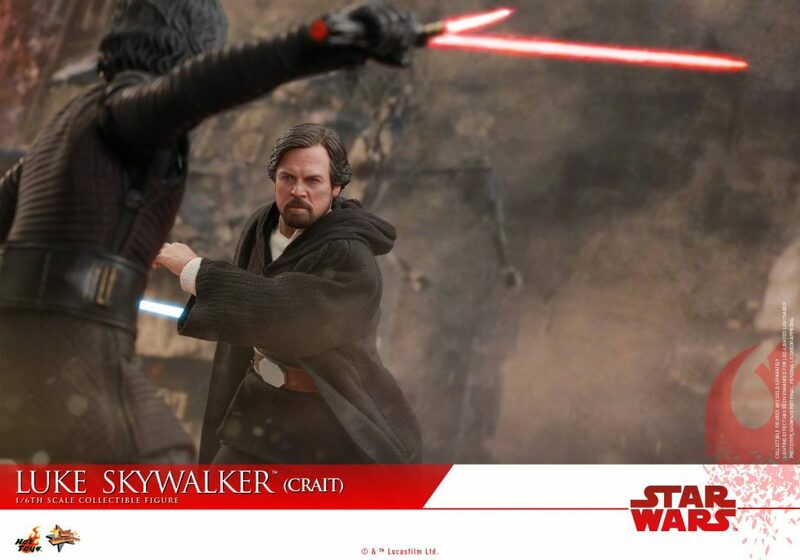 It’s expected to be released sometime later this year or in 2020. 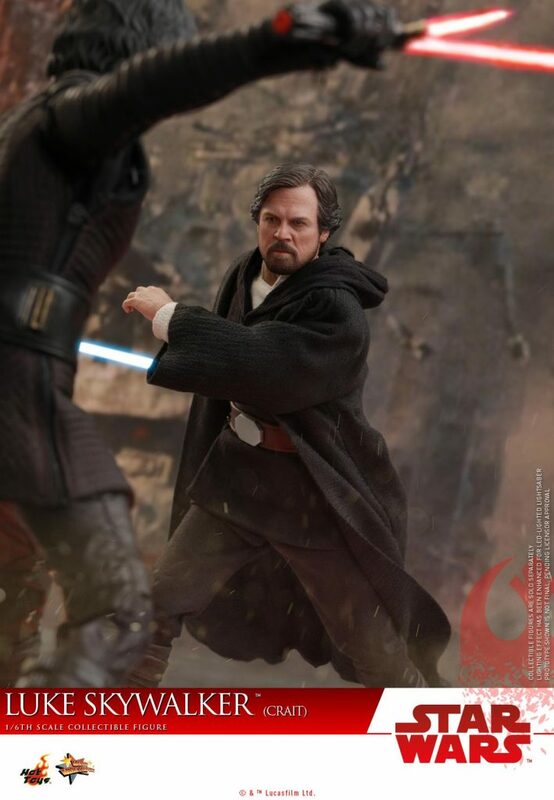 I would personally love to get this figure.